A strong national economy—the strongest in decades—is reflected by growth in the West Coast states, which ranked among the top 12 in a study recently conducted by 24/7 Wall Street. While Colorado ranked first, Washington had the fifth fastest-growing economy while California was eighth and Oregon 12th. The study’s authors reviewed statistics for poverty, unemployment, job growth, college attainment and economic growth, according to an Aug. 27 USA Today story. 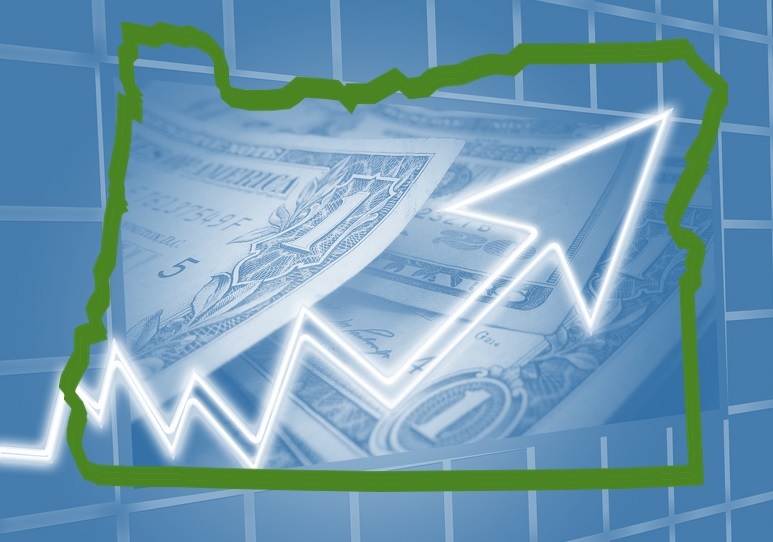 Oregon’s GDP over five years grew 1.7 percent, which was the 16th largest increase, and its 2017 GDP was $212.6 billion, the 24th largest. It tied for 23rd with its 4 percent June 2018 unemployment rate, but the state’s five-year annual employment growth of 2.2 percent was the sixth largest increase in the nation, surpassing the national average of 1.5 percent. By comparison, Washington’s GDP grew 3 percent over five years, the largest in the nation. Its 2017 GDP was $439.4 billion, the 14th largest, but its 4.7 percent June 2018 unemployment rate tied for fourth highest. Its five-year annual employment growth of 2.2 percent was seventh highest, just behind Oregon. California’s GDP grew by 2.9 percent over five years, second only to Washington. Its 2017 GDP was $2.4 trillion, the largest of any state. Its 4.2 percent unemployment rate tied for 18th highest, but its five-year employment growth of 2.2 percent ranked eighth largest in the nation. Many states with shrinking economies depend on the extraction of natural resources such as coal and oil. For example, the article noted that four of the five states with the worst-ranked economies—Louisiana, West Virginia, Alaska, and New Mexico—depend on large mining industries.